All of the below information comes directly from job reviews written by RWE Supply and Trading employees based on 37 reviews. 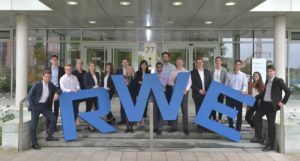 RWE Supply & Trading is a leading European energy trading company, and part of the RWE Group. We trade in energy and energy-related raw materials, including: power, gas, coal, freight, oil, weather derivatives, biomass, emissions certificates and renewable energies. At our headquarters in Essen, Germany, you’ll find the largest energy trading floor in Europe. We also have trading floors in London and Swindon, and operate in Den Bosch, Geneva, Prague, Singapore, New York, Mumbai and Jakarta. We continue to expand into new markets and grow globally. Our highly-skilled team consists of around 1,300 employees from 40 countries. Our two-year Graduate Programmes are unlike any others with four different routes on offer: Commercial, Support Function, Finance and IT. Are you looking to make the best possible start to your career? We have all the opportunities and options you could want. Our graduate programmes give you the freedom to choose your own rotations. So whether you’re interested in proprietary trading, finance, analytical functions or business support roles, you’ll be able shape your own career path while making a difference with your team from day one. Alternatively, you could join us on an industrial placement or as part of one of our apprenticeship programmes. 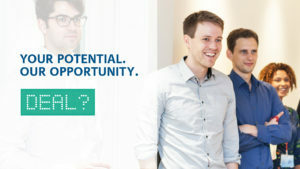 Our Graduate Programmes have three main locations: Swindon, London and Essen. You will be given a base location for contractual purposes but you can choose a rotation in any of our locations, including Singapore. Industrial Placements will be based in Swindon or London. Every graduate will have a personalised training & development plan which starts with being assigned a buddy even before you start with us. Your programme will include formal training sessions with your fellow graduates, networking events to explore future opportunities and you’ll receive mentoring from senior and more experienced colleagues. With many other opportunities to learn, you’ll have guidance to ensure you’re developing both professionally and personally along the way. Over 80% of our graduates continue to progress with us long after their Graduate Programme finishes. We are interested in candidates from all degrees disciplines, but mainly Maths, Physics, Engineering, Economics, Informatics, Business Administration or a comparable course. We need candidates who deliver results and get the job done in a reliable way, who are socially confident and engaging in order to be able to network and communicate at every level. Furthermore we are looking for motivated and ambitious people who are keen to learn and develop themselves. Friendly and supportive colleagues and work environment in general. The range of rotations available, responsibility given within each role. Fantastic opportunities to work with and learn from commodity traders. Great development opportunities. Great working environment. Knowledgeable and approachable colleagues. Interesting and dynamic industry. Proximity to front office. Graduate programme structure allowing you to see four different departments across Global locations. Networking opportunities with other graduates and other colleagues. Everyone is very approachable and willing to help. Being able to have a tangible impact on trading strategies and decisions whilst working alongside helpful, knowledgeable people which are always happy to help you develop and learn. It's improved many of the skills I have, whether that be soft skills like presenting or more technical such as analysis or excel skills. Good exposure to an interesting sector. Good opportunity to learn about the industry. 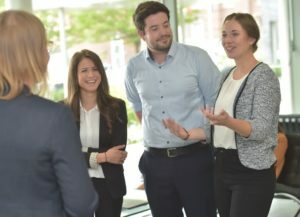 Diverse exposure to multiple departments and teams within the company with the freedom to question other employees freely without feeling intruding. The company culture feels relaxed but intense where everyone works hard but can also make time for other commitments. Everything as a normal Application. They are looking for Team Players you don't have to make the other Applicants look bad. Nothing but good preparation. The team created always a friendly relaxed but professional environment. They didn't try to create stressful situations to test you and were always supportive. So be yourself but be well prepared. Search the Company Website and so on. Research the company & make sure you are interested in trading. You have to be passionate about trading as a career path. Again, research the company. Why do you want to trade commodities over FX or equities? Are your skills a good fit for the job spec and maybe more importantly is what the company offers what you want. Research what the company does, join relevant energy and or trading societies available to you at university. Recruitment look for potential, not experience - be honest during the application process, and if you show a willingness to learn you have a good shot. Make yourself stand out with any relevant trading experience you have. Show a passion for the industry. Put a commercial/Trading twist on any experiences you have, make sure you convey passion for the industry - specifically commodities trading and markets. Structure your answers in a logical manner and convey an analytical thought process. Which of your former experience will help you be a successful graduate at RWEST? Show your passion for trading and commodities. No one has a degree in commodities trading so it is vital to show what you have done either extra curricular wise or work experience wise which exhibits an interest in the industry and company. Research. Be up to date with current affairs. Macro drivers for global commodities such as Oil and freight. If you talk about something specific in your application - make sure you can back it up with the knowledge on the day! Any evidence which shows you have an interest in commodity trading helps. If you're part of a relevant society then make sure you contribute to it rather than just being a member. Make sure you come prepared, having read up on recent news events and thought about how these might affect RWEST. Remember to be natural - the interviewers are testing both whether you're skilled enough to work here, but also whether they'd want to work with you as a person. If you're not a fit on a personality level then you wouldn't enjoy working here anyway. Make use of your experiences in university and outside, e.g. work experience, volunteering, internships working abroad. A broad range of experience is really good and shows the adaptability required for the graduate scheme. Stand out but in a good way. What is different about your experiences? The same as the application. Show you have diverse experience and skills. Also, be yourself. I know everyone says this, but being relaxed and friendly makes such a difference. It is a friendly company so during the assessment centre chat with other graduates and the assessors! You should be passionate about energy and trading in particular bringing along an intrinsic interest in relevant topics. Strong analytical skills as well as basic programming skills are beneficial. Make sure to prepare well for the assessment centre, especially for the interview and self-presentation. Try to step into the company's perspective on markets and current industry challenges. Anyone applying should have a genuine interest in energy markets. If in addition you also have quantitative skills and get along with people, you should do well during the application process. The application process consists of interviews, analytical tasks, soft-skill tasks.. Again, if you have an authentic interest in energy markets it will give you an advantage that is otherwise hard to emulate. Do your research on the company and the specific markets in which we operate (which are now quite varied.) They are not interested in your keenness to work in the London financial markets but your interest in the Energy business and the company itself. Online tests, phone interviews and assessment centre. Your standard mix. The online tests are certainly not the easiest. Be completely honest with everyone in the process. Qualifications get your foot in the door but they hire you based on whether or not they can see themselves working with you. Telephone interview: Mix of both technical and non-technical questions. Assessment Centre: Team based and individual tasks. As well as seeing how you think, interviewers look for what kind of a person you are and how you communicate and get on with others. Work hard, and don't think that trading is like the Wolf of Wall Street. Do your research - it sounds simple but many people do not. Are you interested in trading? - If you are unsure then the role is not for you. General competency questions - a fairly generic process. Best choice you can make. My Job challenges me every day and that makes it so exciting and fascinating. The energy industry is changing dramatically, some background on the broader trends is useful. You will need to think fast on your feet and react to volatile situations. Be honest and curious, always looking for a solution. Know your energy commodities. Learn as much as you can about the company and the different parts of our business. Have a desire to perform well in any part of the business. You must be well rounded as you will be rotating around different parts of the business and various locations, so be prepared to move geographically. Working environment and international company. Also the good and easy communication to colleagues and Managers on every level. In my opinion change in processes still takes too long. Colleagues are generally friendly and approachable, you feel as if most genuinely care about your development. Lack of London based opportunities. Good work life balance, staff treated well. Innovative and always looking to be the best. Friendly nature of staff. People are always willing and keen to explain things to you and engage with you - right up to senior management. As an example, whilst based in Germany on my first rotation - an RWEST board member took me out for a one to one dinner for no particular reason than just to get to know me! I can't imagine many other companies of this size having board members do something similar. That all of the trading desks aren't based in London. Friendly, open work culture. International opportunities. Approachable colleagues. Company culture is very supportive of grads & ex-grads, as well as new ideas in general. Good results will quickly lead to more responsibility. A very diverse set of business interests with very good opportunities. The working atmosphere and willingness for people to help each other.